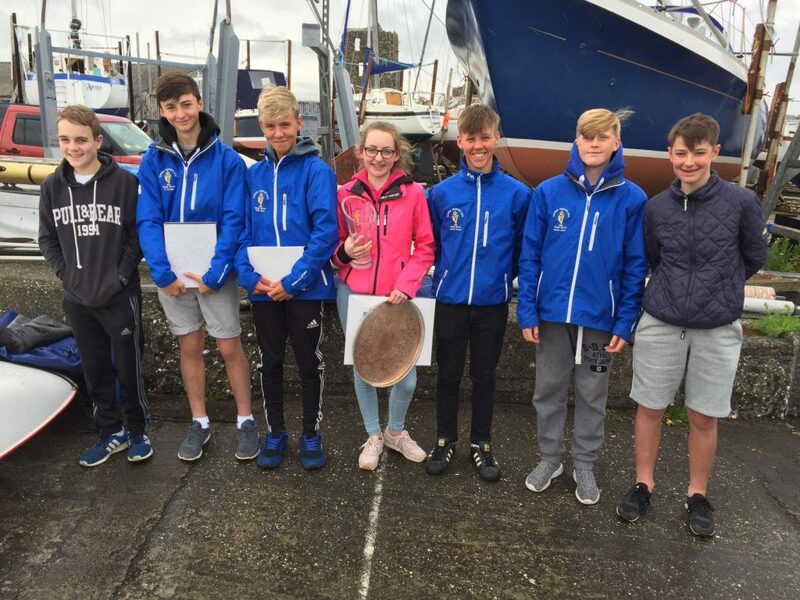 Nine of our junior members travelled to East Antrim Boat Club in Larne last Thursday to compete in this year’s Irish Topper Nationals. 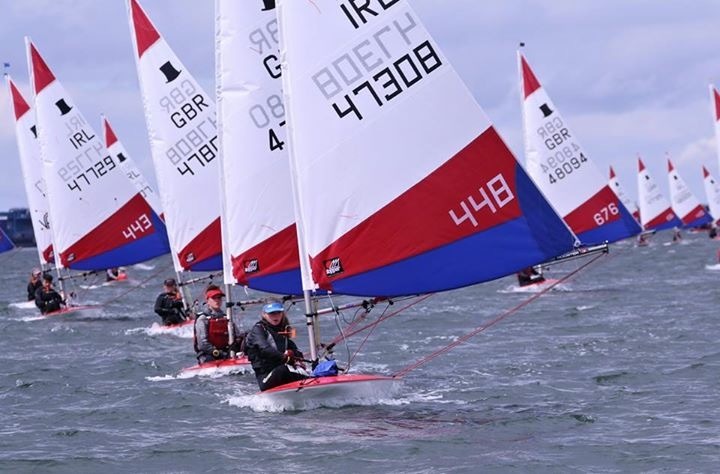 Sixty two sailors from around Ireland and the UK were competing with 53 in the 5.3 fleet. Friday saw three races completed in tricky conditions and results posted highlighted that consistency would be key. 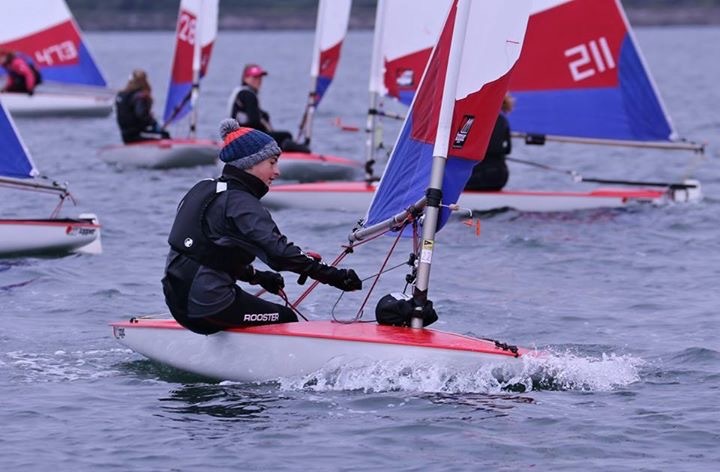 Saturday morning arrived with some brighter skies, the fleet launched and got a race in before the wind died away. 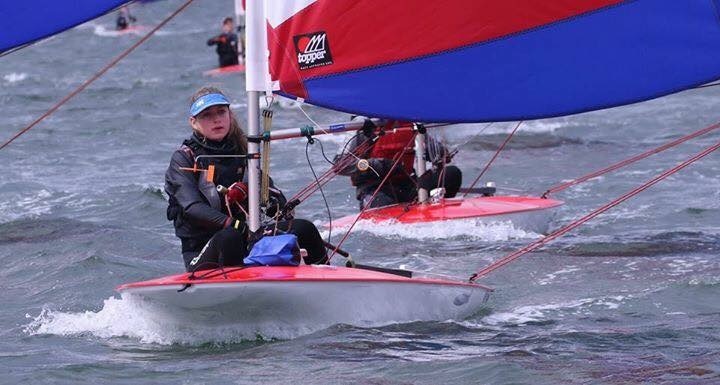 A little waiting was done for the breeze and three more races were completed making 7 in all at the end of Day Two. Lorcan Knowles of Leigh and Lowton was clear leader with a discard of his worst race being a ten. Rob Keal was the Irish overnight leader in 5th followed closely by Conor Horgan 6th and Aoife Byrne 7th. Sunday morning saw a nice 10 – 12 knot breeze. 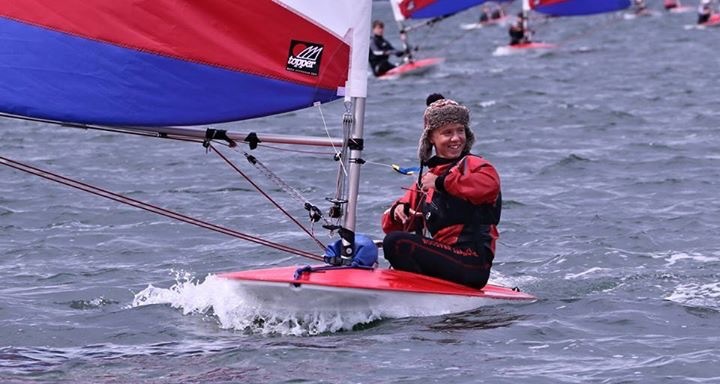 Unfortunately, a rain shower came through after the fleet launched and the wind died back. 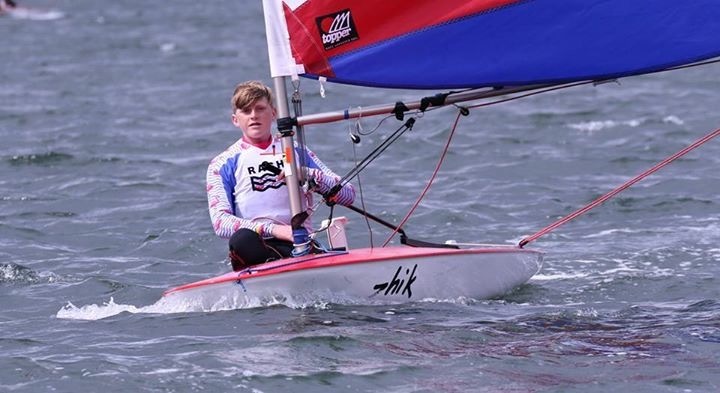 After 8 races – there was a three way tie on 40 points GBR sailor George Vincent 3rd, Conor 4th and Aoife 5th. 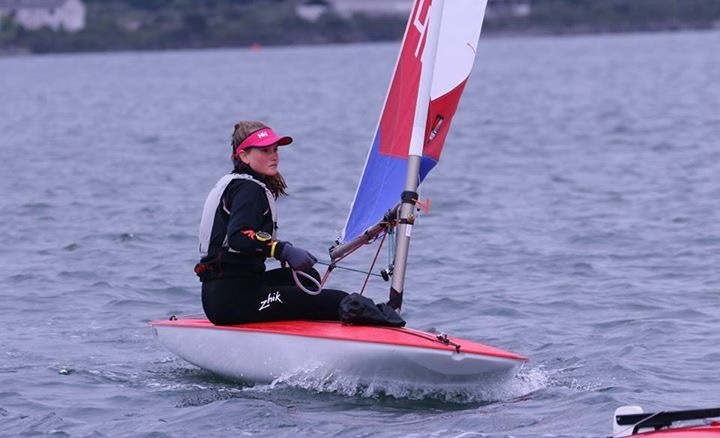 In race 9, Aoife finished 4th beating out clubmate Conor and a new Irish National Champion was crowned – congratulations to Aoife. 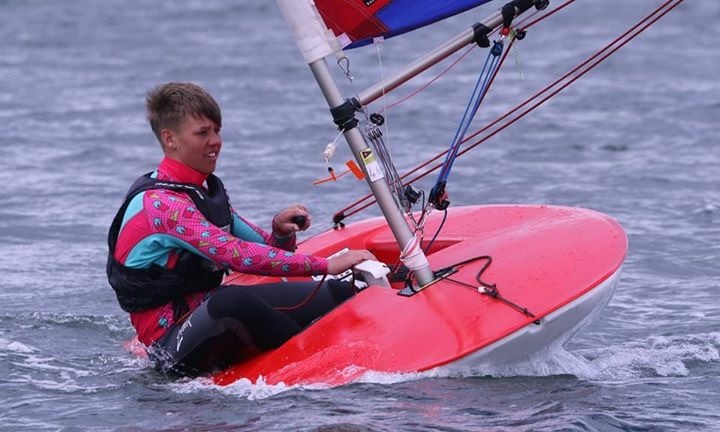 Lorcan Knowles held his lead and is Irish Nationals Open Champion and first overall. 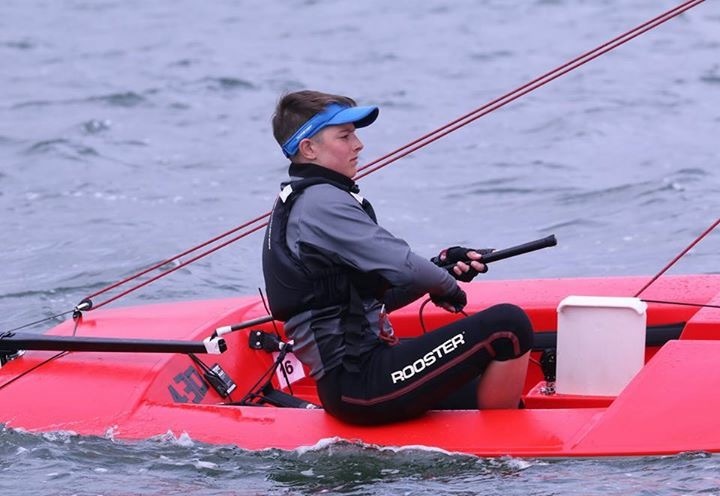 Well done to all and thank you to the parents that supported both on/off the water. 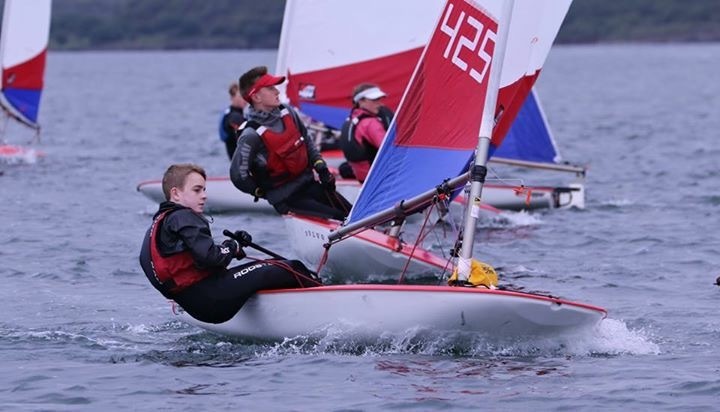 Our group had some great highlights – David Jones scoring a 2nd and 4th, Jack O’Sullivan a 4th in race 7, Ciaran Ryan had 5 top 20’s, Dorothy Matthews finished with a 3rd in race 9, Kate Fahy 8th in race 6 and Adam Power had 2 top 20’s. Best of luck to all who are travelling to the Topper Worlds in Loctudy, Brittany later this month. 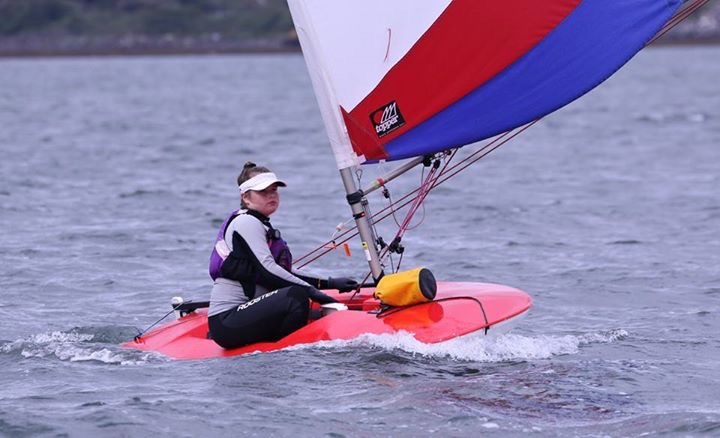 Prizegiving photos/results etc on RCYC Topper Class Facebook page.